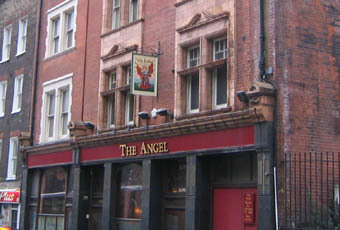 Ah The Angel, I used to work opposite the Angel between the ages of 16 to 20. Back then it was “an old man’s pub” & therefore extremely popular with the older chaps I worked for. 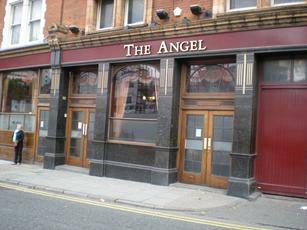 I spent many a Friday afternoon in here after several pints when I should of been back in the office! The £1.50 cottage pie was legendary aswell. So over 20 years after my last visit I popped into this Samuel Smiths pub for a couple of pints on a Wednesday lunchtime. Having not visited for so long I had forgotten what a stunning pub internally this is, all original features with 2 sides of the bar with the side nearest the courtyard being split into 2 with an internal partition. The full range of Sam Smith’s ales and I can report that the Old Brewery Bitter was in great form. I stayed for a few beers, the pub didn’t get too busy even though it was lunchtime but I’m sure the place still does a good trade. While I was here it got me thinking about all of the other pubs I used to use in the area, I think I may make a trip to them all for old times sake soon! A Sam Smiths house so the prices might even have been affordable for the former inhabitants of this part of London when it was a notorious rookery in the nineteenth century. Hence, choice isn't always what it could be but if is a more genuine offering than many central London offerings. Upstairs rooms are an addition of recent years and provide calm while I once saw all 3 members of the band Saint Etienne in here. 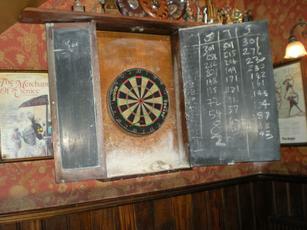 Two things I've always liked about Sam Smith pubs: 1) always very traditional, unspoilt. 2) Very reasonable prices. 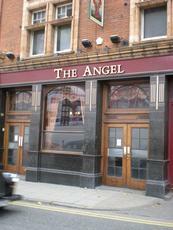 The Angel definitely scores on the first one, but... 11quid for a bottle of Taddy Porter and a bottle of Pale Ale??? Look, I know that as a central London/St Giles/Soho/Covent Garden type of drinker I'm going to get exploited a bit, and bottles are always going to be more expensive, and I'm not going to get the same price as the Nag's Head in Chapel Allerton or the Crystal Palace in York, but 11quid does seem a little, well, steep. Extortionate is another way to put it. The brewery's pub nearby, the John Snow, also has these ridiculous bottle prices. I had thought Sam Smith's was a much better than normal company. Not at those prices (and, yes, the Old Brewery on hand-pump is cheaper, but seemed very ordinary in this pub).